Executive Director - Camden County Council On Economic Opportunity, Inc.
Arnold N. Byrd is the Executive Director for the Camden County Council On Economic Opportunity (Camden County OEO), Inc. A longtime resident of the City of Camden, Mr. Byrd began his tenure with Camden County OEO in 1968 and has served with distinction as Executive Director since 1975. In his current position, he is responsible for all agency funds, securing resources for funding, and developing and administering new and existing programs. In addition, he oversees all aspects of grant management with emphasis on financial audits and contract compliance. Under the direction of Mr. Byrd and the Board of Directors, the agency has grown from a budget of $500,000 to nearly $9 million with approximately 50 employees. Mr. Byrd also developed an outstanding housing department, and program planning and development department. From 1968-1970, Mr. Byrd was Deputy Director of Camden County OEO. In 1970, Byrd became Executive Director for the Southern New Jersey Opportunities Industrialization Center, Inc. (SNJOIC) in Camden, NJ. He directed a county-wide training program for the disadvantaged. Under Mr. Byrd’s leadership, Camden County OEO completed three phases of Arthur’s Court, sixty-four (64) units of new affordable single-family homes. The agency has completed the new construction of a Head Start Center at Broadway and Pine Street that has made a tremendous impact on that area and a new facility at 900 S. Broadway. In addition, the agency is working on eleven units of affordable single-family housing in Liberty Park and near completion of a new transitional housing facility. During his studies, Byrd had many recognized accomplishments, including receiving the Oaks Award, the highest academic award for a male student, becoming a member of the National Honor Society, and being part of All-State South Jersey. He received an athletic and academic scholarship to Rutgers University in New Brunswick, NJ. In 1960, he was voted most valuable football player and also excelled in three sports while at Rutgers. 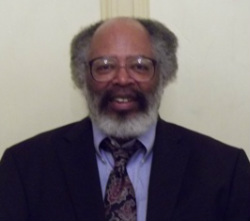 He completed his undergraduate degree in Psychology, and continued his education to receive his master's from Antioch College in Yellow Spring, Ohio. There he studied Community Education with a specialization in Community Economics Development. An Armed Forces veteran, Mr. Byrd served as a Lieutenant in the United States Army, Air Defense Service from 1962 to 1964 and a helicopter pilot and Captain in the United States Army Reserve. While the sands of change swirl ever faster all around us, the deeply rooted problems we dedicated ourselves to address at our founding in 1965, sadly continue. Yes, our hope, and the community's hope, continue to rely on our dogged determination to fight on. It is not a frantic fight; it is measured. For 50 years, our programs and services to the disadvantaged continued unabated with measurable success. From the humble beginnings in the basement of the old Camden Convention Hall, we have grown to an organization with capital assets totaling approximately $9 million and operating on an annual budget of nearly $9 million. Camden County OEO has provided services to approximately a half million clients over the past five decades. These services contributed at least $400 million to the local economy. Our stability and steady growth could not have been achieved without the support and cooperation of community, inclusive of corporations, local, state, and federal governments, business, organizations, civic and religious organizations and other supporters. What I cannot convey here is the serene inner-strength and dedication of the people who make our success possible. I thank our Board of Directors, volunteers, donors and other supporters. With their continued help, we look forward to even more Herculean success during the twenty-first century. In addition, I extend a special thanks to the Management, Administration, and Finances Departments for their excellent stewardship in acquiring and maintaining agency resources. Last, but certainly not least, I would like to praise the agency staff for its commitment to excellence in our effort to provide a beacon of hope to our community.